Today I'm welcoming a new friend to my blog. Audrey Mei is a friend of Quanie Miller--and any friend of Quanie's is a friend of mine! 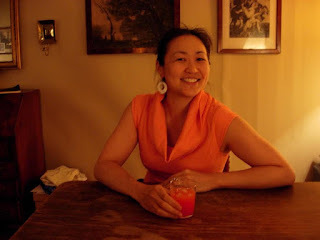 She's guest posting about China in connection with her new book, Trixi Pudong and the Greater World. 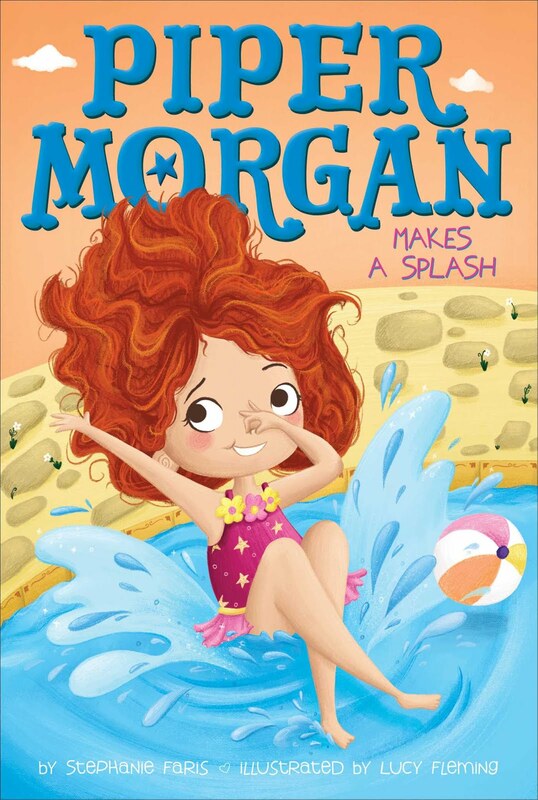 Scroll down after the guest post to read all about her book! Upstairs the foreigners, downstairs the Chinese. The foreigners shine like gold and diamonds. And we Chinese are dull like bamboo and clay. In my book, Trixi Pudong and the Greater World, Edwin Kuo is an 8-year-old boy in Shanghai, 1938, a city colonized by virtually every country in the West: England, France, the United States, Russia, Germany, Italy, and Holland, for starters. Edwin asks himself the question "Why the difference?" between the poverty-stricken Chinese and the wealthy foreigners from the world outside China's borders. He continues to search for the answer throughout the book as he sails through World War II with the British Merchant Navy, and later works as a ship's captain in Communist China. I don't know at what point in time I decided to integrate the question of "Why the difference?" into my book. I think it began with the idea of making Edwin a very precocious little boy, despite having miserable grades at school. At my release event in Berlin on August 6, I was unexpectedly grateful that I had added this dimension into my book because there were academics and journalists in my audience who were particularly intrigued by this question. They spoke to me about it after my reading, and it was pleasant surprised for me as a first-time author. And of course, I'm just fascinated in subjects like: Why did the West rise to power starting in the 19th century, even though humanity's greatest inventions had come out of Asia and the Middle East until then? 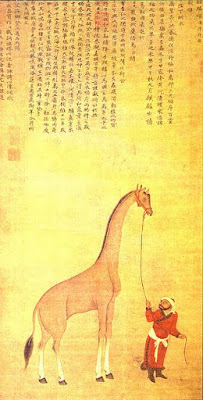 Specifically, how did China, a country that led the world's civilizations for thousands of years, become so poor? Pop-anthropology guru Jared Diamond explains some this with his trademark geographical theory in Guns, Germs, and Steel. He points out that the European continent is naturally divided by geographical barriers which hindered the movement of people, thus resulting in strongly distinct cultures which have proved difficult to unite under one European identity (look up Brexit for one example). The landscape of China, on the other hand, is relatively barrier-free, enabling a large area to be conquered and controlled by one governing power, namely the Chinese emperors and their dynasties and, in modern times, the Chinese Communist Party. The pitfall of having such a large country like China at the mercy of a sharply hierarchical central body is that the decisions of a few individuals play out on population of hundreds of millions, sometimes with catastrophic long-term effects. Europe, on the other hand, benefits from the diversity and competition of distinct cultures who come up with their own ideas. So, historically, the sea-faring European countries of England, France, Spain, Portugal, and the Netherlands built ships and conquered the world with colonies in Africa, South America, Asia, and Oceana, cashing in on the natural resources of distant lands. 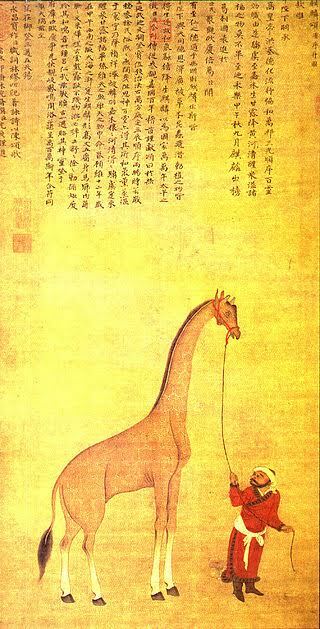 Meanwhile, in China -- the country that invented the maritime compass and once had a formidable navy that sailed to Ethiopia and Morocco -- a 15th century emperor banned the construction of ships with more than two masts and, well, that was that. Disasters also hit in China in the 1960s when the Chinese Communists Party launched the Cultural Revolution, one of many political campaigns that hurled the Chinese people into yet more turmoil. At one point, revolt agains the intellectual class escalated to include the mass closure of Chinese schools for years. The ramifications of this was foreseeable, and still today, China is facing the challenge of bringing their billion-strong, under-educated "peasant class" up to speed with the rest of the developed world. I like reading Jared Diamond and his arguments are compelling. But are his theories the only ones? In my book Trixi Pudong and the Greater World, Edwin stumbles upon different possible answers to the question "Why the difference?" between China and the world outside. To find out more, take a look at my book on Amazon and let me know what you think! Many thanks to Stephanie Faris for hosting me on my blog tour. This week I have written about why I wrote this book, as well as tips on how to write a page-turner. You can find these posts as well as the rest of my blog tour schedule here. Revolution rages in 20th-century China, a rusting container ship sails the world for two decades, and a tiny fairy is frustrated in a northern harbor town. 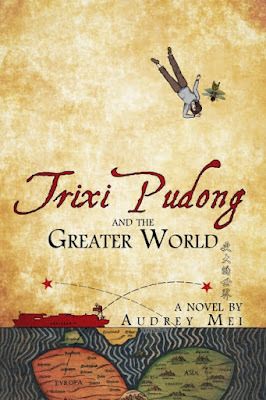 Trixi Pudong and the Greater World is a family saga with a magical twist, spanning Shanghai's Golden Age to Hamburg, Germany, 2015. It is a tale of four generations of a Chinese family, torn between their deepest dreams and loyalties. Shanghai, 1938. The city is under Japanese occupation, civil war brews in China's interior. Edwin Kuo is eight years old, obsessed with the question "Why the difference?" between China and the Greater World, the world outside his country's borders. He ventures into the Greater World by working with the British Merchant Navy through WWII. In the 1960s, trapped behind the Chinese Communists' closed-door policies, he becomes a sea captain and sails on a decrepit container ship for twenty years with his sons, caught between the desire to defect from China and the hope of re-uniting with his wife and mother, missing since the Cultural Revolution. Little Two is Edwin's younger son. At age 25 he has not stepped foot on land since he was a small child. He knows only the container ship and the sea but gives in to a burning curiosity one night, venturing onto foreign land, into a raucous German harbor town. Audrey Mei was born in California. She studied in Boston, where she graduated from New England Conservatory with a BM in cello performance and from Tufts University with a BA in biological psychology. In 1996, she received a Fulbright Grant to study cello at Sibelius Academy in Helsinki, Finland. Although her field was music, the Fulbright Committee was deeply impressed by her writing and greeted her with the question, "When will your first book appear?" Audrey would like to thank the Committee for their enthusiasm and apologizes for the 20-year delay. Audrey's writing has appeared in Gangway Literary Magazine and Glimmer Train, among other publications. She spends her time between Berlin and San Francisco with her husband, daughter, and black Havanese dog. My blog tour rolls on. Today, you'll find me over at Mason Canyon's blog. Be sure to enter my giveaway to win a gift pack that includes a $25 Amazon gift card and a signed copy of both books (below). 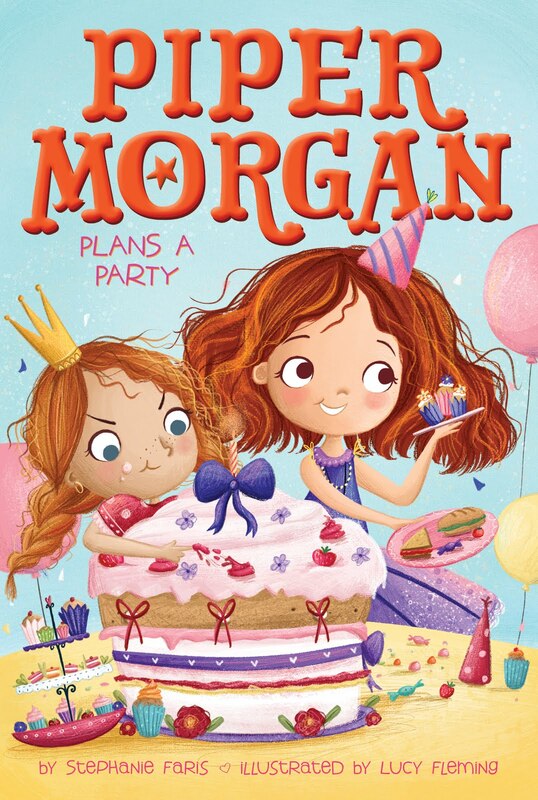 A book launch can be extremely stressful, especially if it's your first time. Click here to read my five things every first-time author should have before launch day. Another fun day on my blog tour. Be sure to enter my giveaway to win a gift pack that includes a $25 Amazon gift card and a signed copy of both books (below). Interviews are always my favorite part of a blog tour, mostly because I get to interact with my favorite bloggers in a fun way. Click here to read my answers to the fun questions Leandra Wallace asked me. It was a different time. Somewhere between the taming of the wild west in the 19th century and the insane indiscriminate violence of the 21st century. People like to think it was a time of innocence. In some ways perhaps it was, but there was evil lurking about in the shadows back then as well. Not everyone lived a "Leave it to Beaver" existence. People in rural areas often had to depend on their own resources. It was a world before 911. A world where sometimes people had to stand firm and protect their own. That was where 10-year- old Lucy Rhys found herself one day in the summer of 1959. A day of reckoning so to speak. A day when she found herself caught between a child and an adult and had to make a life or death decision that would determine the fate of her family. 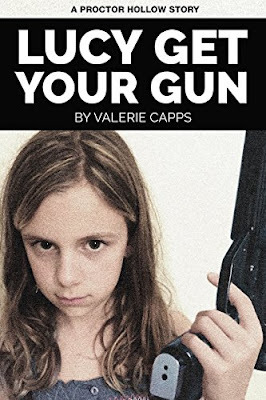 Valerie Capps is a freelance writer and author. 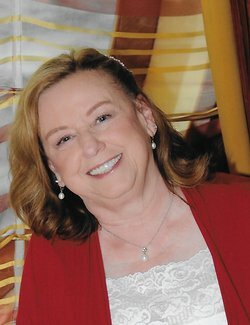 Her short stories and articles have appeared in various magazines and newsletters with world-wide circulation. Valerie's latest project is a series of short stories with a paranormal theme set in a mid-twentieth century town called Proctor Hollow. 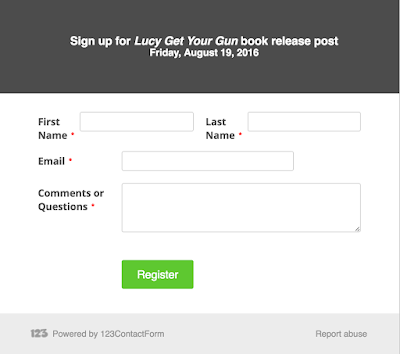 The first four books in the Proctor Hollow series, The Holler Witch, Incident at the Diner, Encounter on a Deserted Highway, and Lucy Get Your Gun, are available on Amazon.com. Valerie lives in Nashville, Tennessee, with her husband and their Welsh Corgi.Visit her blog at www.valeriecapps.com. My blog tour rolls on. Today, I'm posting on Kids + Books + Nature. Be sure to enter my giveaway to win a gift pack that includes a $25 Amazon gift card and a signed copy of both books (below). 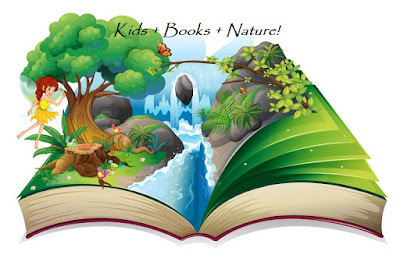 Kids + Books + Nature is run by Diedre Knight, a familiar face on my blog. You may know her by her other site, Pensive Pens. Click here to discover three books every children's writer should read. My blog tour rolls on. Today, I'm posting over on Beverly Stowe McClure's blog. Be sure to enter my giveaway to win a gift pack that includes a $25 Amazon gift card and a signed copy of both books (below). 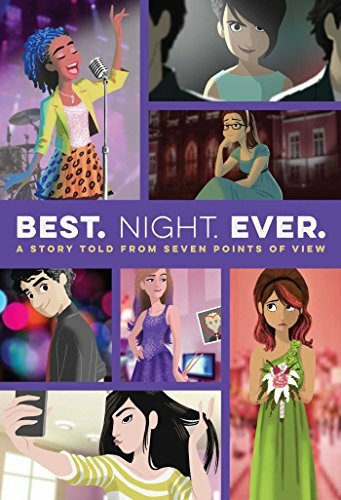 Beverly is one of the few children's authors who read my blog--and I love her books! 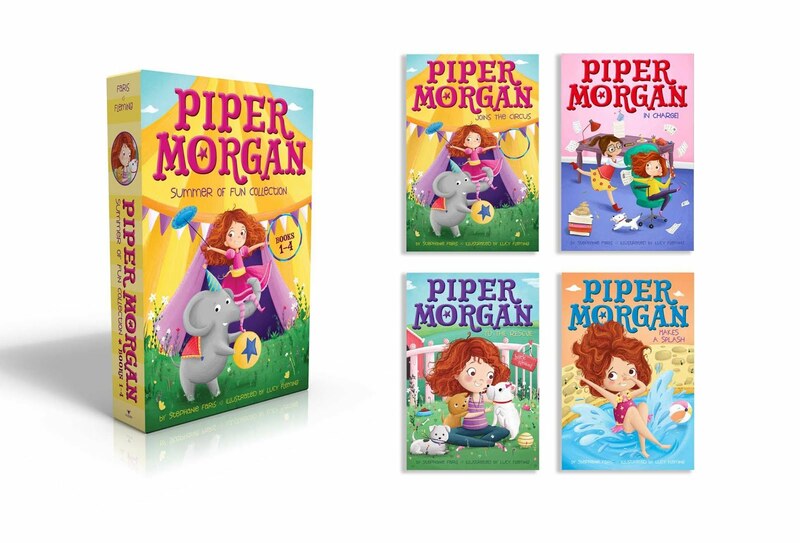 Click here to read my post about Piper's adventures. Another exciting day on my blog tour. Be sure to enter my giveaway to win a gift pack that includes a $25 Amazon gift card and a signed copy of both books (below). Being an author is often a matter of balance. Today I'm writing about the challenge of writing a new book while dealing with edits on a book you soon have coming back. Click here to read my guest post on Cathrina Constantine's blog.